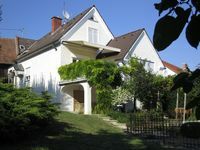 Properties in Südoststeiermark District average 4.7 out of 5 stars. The pictures don't do the property justice. It has been beautifully (and comfortably) decorated. We occupied entire home: my spouse and me; our children and grandchildren (6 in all). Ample space for those who wanted private time. Description of amenities was accurate. 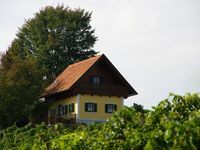 Owners (Franz and Monika) were available when needed and provided good information about the location, activities, restaurants, etc. The small village is just outside the front gate, yet not intrusive. We definitely would return. Simply delightful!